Lovingtacos wrote: I personally like it, but I think the gleam in his eyes makes his looking -and therefore, his head overall- look weird. But well, I really like the piece? Is there any way to know who made it? Based on the signature and some googling, gonna guess Dave Dorman, possibly? You can buy it for $1,200. ..and yes it's Dave Dorman. I did not expect they would be selling the original. That's great, thank you! Dave & Busters Game Center’s now have a Marvel Contest of Champions fighting game that disperses character cards when you play that can then be scanned in to play as those characters. There is a regular and foil version of each character. 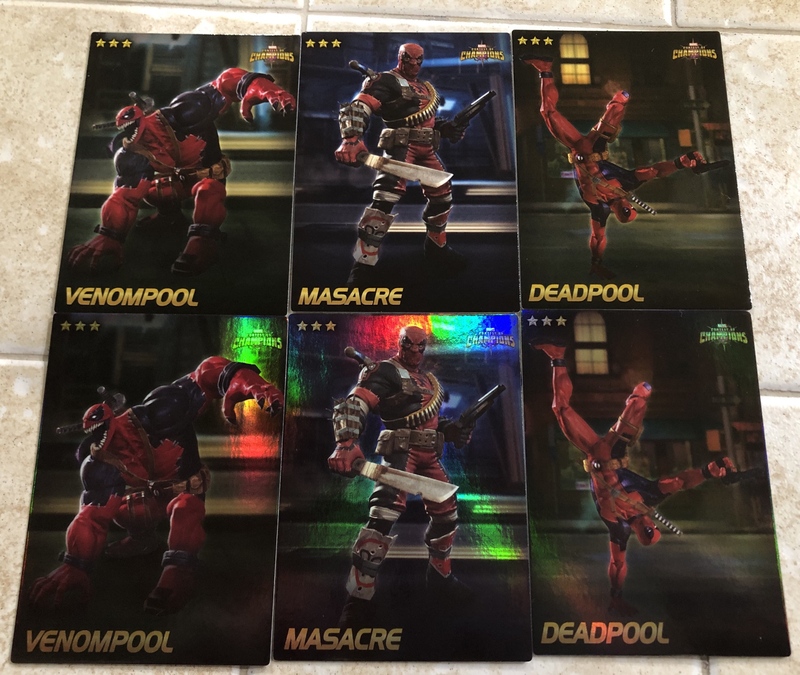 There are three Deadpool related cards. Deadpool, Masacre and Venompool.